Strong, healthy teeth not only create beautiful smiles, they are necessary for eating, speaking and giving your face its shape. This is why it is important not only to replace missing teeth but also to find replacements that look, feel and function like your own natural teeth. A dental implant is an artificial tooth root surgically positioned in the jawbone to replace a missing tooth. After the implant is securely fused to the bone, your dentist will place an artificial tooth or crown on top, giving you a replacement that is similar to a natural tooth. Implants can also support full dentures and bridges. Implants are pricey and without some help from dental insurance or a dental discount plan, your out-of-pocket expenses can be significant. Dentists place more than 5.5 million implants every year in the U.S., according to the American Dental Association, and here’s why they are so popular. Implants don’t move or shift, giving you the same stability as your natural teeth. Implants allow you to easily chew food and speak clearly. Implants don’t involve neighboring teeth; so no tooth structure is lost from any other teeth. Implants preserve the jawbone and facial contours. Implants are cleaned just like your natural teeth. Dental implants may be the “Cadillac” of tooth replacements, but they’re also the most expensive. Fees for a single implant fixture can range between $2400 and $3000. And if other procedures are needed, such as extractions, bone or tissue grafts, or sinus lifts, your total expense can increase considerably. In addition to the implant, you will have the cost of the crown that goes on top of the implant, which typically averages around $1500. Fees for implant procedures can also vary depending on the area of the country where you live and whether a specialist or general dentist performed the procedure. Although the total expense may be substantially lower if you have your treatment done at a dental school. If you have a traditional dental insurance plan, ask your dentist to send a preauthorization request to your insurance company. This way, you can determine if you have benefits for the implant procedure, and if so, how much will be covered. Many plans exclude coverage for the implant fixture itself, considering it cosmetic in nature but provide benefits for the crown that is placed on top of the implant. Keep in mind that most dental plans have a yearly plan maximum, deductibles, and possible waiting periods that could affect your coverage, leaving you with a hefty out-of-pocket expense—even when your plan covers implants. Whether you have traditional dental insurance or no insurance at all, a dental discount plan is an option that can greatly reduce your expense for dental implants—as long as your treatment is done by a dentist who accepts the plan. Because most implants are placed by specialists, you can expect to save you up to 20% on the implant itself, and up to 50% on the crown when it is done by a general dentist. 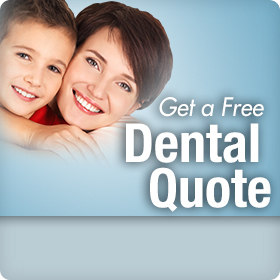 And unlike most traditional dental insurance plans, there are no waiting periods, deductibles, or yearly maximums. If you and your dentist think that dental implants are a good option for you, you’ll want to save as much as possible. Just click on the link on the right for a cost-effective Confident ® dental discount plan through Careington® and a list of participating dentists, who can give you tooth replacements as functional as your own teeth at a reduced price.